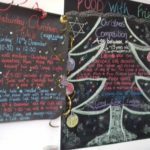 Our lovely Food with Friends cafe situated in the Ashford Gateway+ building on Church Street in Ashford is now serving our wonderful homemade Christmas treats. The cafe has a full menu from snacks to daily specials, with some of the produce coming from our very own Muddy Wellies Farm in Ashford. Brogdale CIC the parent organisation provides, work experience, qualifications and activities for disabled young people. 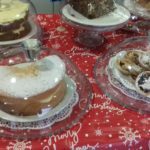 The Cafe not only provides a great place to stop for a cup of coffee, a sandwich, or a slice of delicious cake but also provides work experience for young people and adults with learning difficulties. All the staff make sure you get a warm welcome and their experienced chefs work their magic with some excellent homemade meals. The cafe tries to source as much local, seasonal produce as possible and works hard to make sure the food is tasty and fresh. The staff will be having a fun Christmas workshop on Saturday 16th December from 10.30am to 12.30pm. Join them to make and decorate your very own Christmas Cookies and Mince Pies. We will also be having some fun with some craft making. The cost is £5 which includes a glass of juice, a chocolate bar or a piece of fruit. There is also a Christmas Competition for youngsters aged 4 to 13 years old. 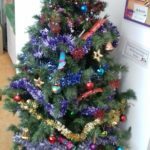 Our young visitors can decorate a tree ornament and the winner will receive a place at one of Brogdale CIC’s, brilliant kids clubs plus a free children’s lunch box with an extra treat. Closing date for entries is Wednesday 13th December. Food with Friends is open Monday to Friday right up to Friday 22nd December. 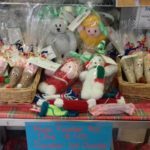 The Cafe will also be open on Saturday 16th December so pop in for a coffee , mince pie or wonderful homemade sausage roll.